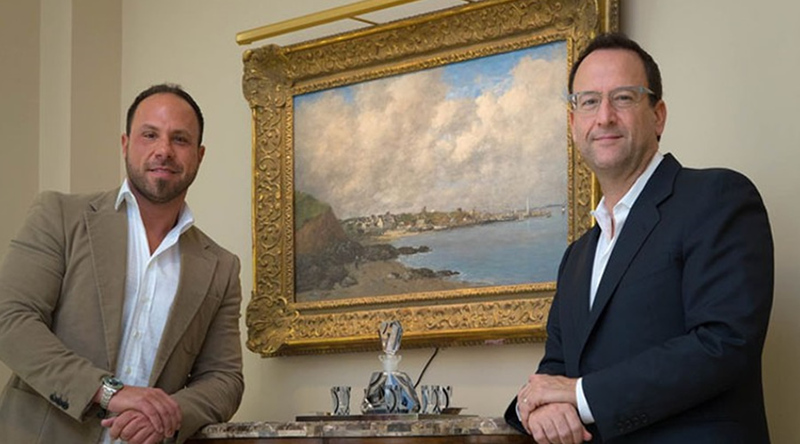 Shawn David, gallery director of Provident Fine Art, left, and Rob Samuels, president of Provident Groupstand next to Eugene Boudin’s ‘La Rade de Portrieux.’ Provident Fine Art opened earlier this month at 125 Worth Ave. Rob Samuels and his partners have come a long way in 23 years. “We had one store 23 years ago,” he said. “Now we have seven jewelry stores, eight fairs and a fine art gallery,” he said. Samuels and Scott Diament own the Provident Jewelry store chain with Samuels’ father, Art. Their first store was Provident Jewelry on Clematis Street in West Palm Beach. The fairs, which include the Palm Beach Jewelry, Art & Antique Show, held in February at the Palm Beach County Convention Center in West Palm Beach, fall under the umbrella of Palm Beach Show Group. That’s owned by Rob Samuels and Diament. The gallery is a new venture. Provident Fine Art, which is owned by Rob and Art Samuels and Diament, opened earlier this month at 125 Worth Ave.
Provident Jewelry has been dealing in art on a wholesale basis for years because art frequently is part of the estates it acquires, Diament said. The opportunity to open a gallery came when a space opened up near Starbucks in The Esplanade. That enabled the partners to move their Palm Beach jewelry store, which they opened a couple of years ago, to the high-traffic Esplanade location, freeing the jewelry store’s former spot for the art gallery. With its windows facing the street and access to the BB&T Bank lobby, 125 Worth Ave. is a much better location for a gallery, Diament said. “The collectors in Palm Beach are among the best in the world and you can’t get much better on the island than Worth Avenue,” he said. The next piece fell into place when Shawn David, whose family has owned David David Gallery in Philadelphia for four generations, signed on as director of the new gallery. The gallery has exhibited in Palm Beach Show Group’s fairs for several years. David David’s stock spans 19th century landscapes to 20th century modern masters. The gallery and Provident Fine Art will share inventory, although they are separate businesses. Prices will range from the low thousands to the multiple millions, David said. 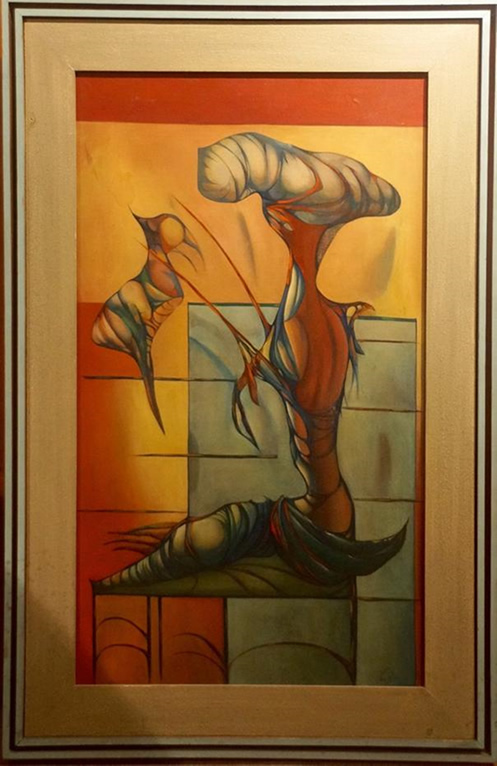 Currently, the gallery is featuring an exhibition featuring the late Philadelphia surrealist painter Leon Kelly, whose paintings were bought by the Metropolitan Museum of Art and the Philadelphia Museum of Art, and exhibited by institutions such as the Whitney Museum of American Art and the Corcoran Gallery of Art. The paintings in Palm Beach span the 1920s to the 1970s. They’ve been in a private Philadelphia collection for 40 years, David said. Other paintings on offer include George Bellows’ The Black House, October 1924; John Sloan’s The Auction from 1949, and Eugene Boudin’s 1873 La Rade de Portrieux. The gallery doesn’t compete with the fairs’ exhibitors, Diament said. Instead, it gives the partners a thermometer on the gallery business and is another means of promoting the fairs, he said. Many galleries have come and gone on Worth Avenue, victims of the short season and steep rents. “I wish them the best of luck,” said resident Mark Borghi, whose gallery has been on the Avenue for five years. Provident Fine Art might thrive because it sells the traditional art most residents prefer, but that niche already is occupied by dealers such as Surovek Gallery and Ashley John Gallery, he said. Samuels and Diament plan to use the marketing muscle that’s fueled their fairs and the extensive mailing list they’ve built up to make a success of the gallery.